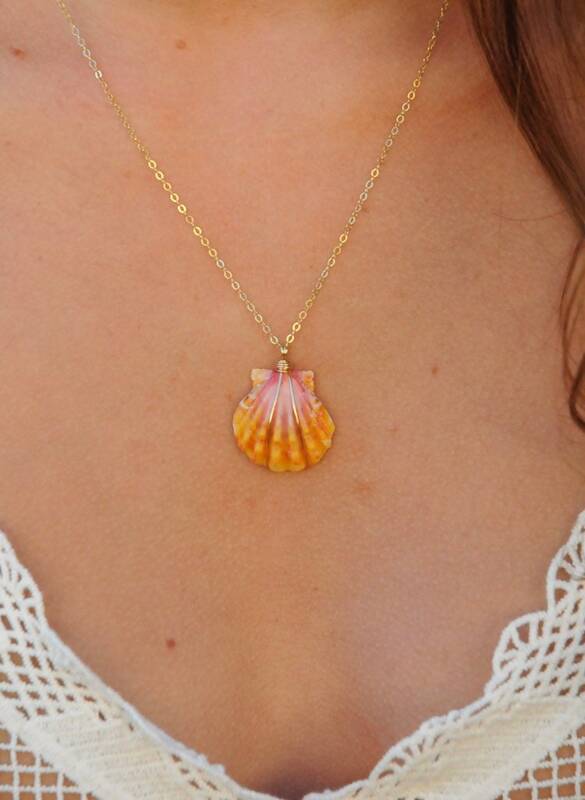 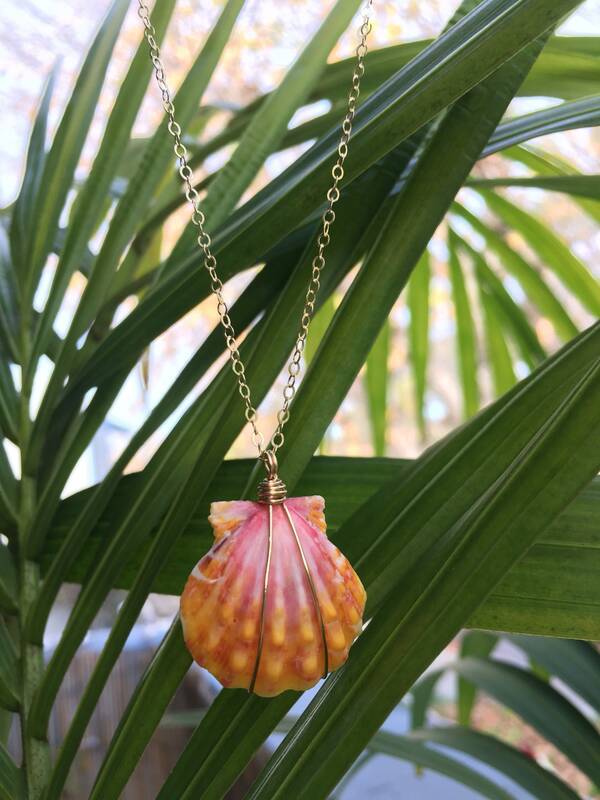 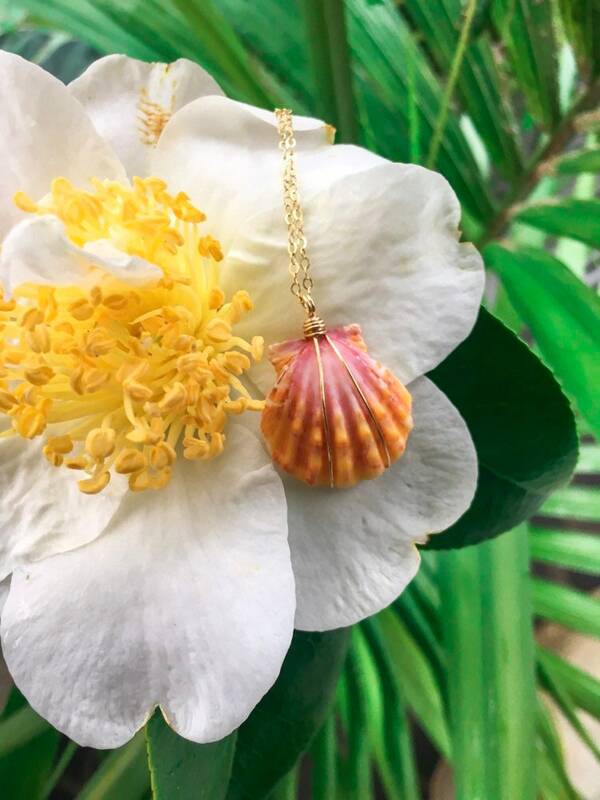 Bright Yellow, Orange and Pink Sunrise Shell Necklace/14k Gold Filled/18"
Beautiful bright yellow, orange and pink, “sunrise colors”. 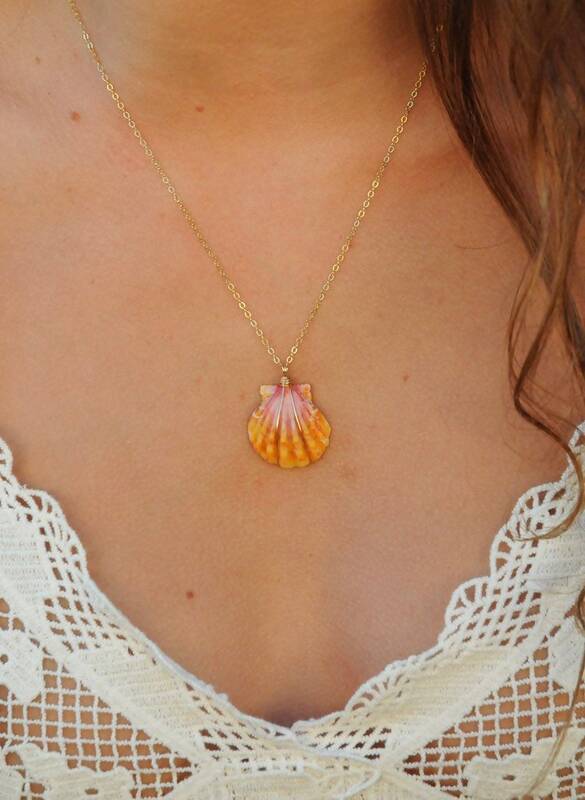 This sunrise shell is wrapped in 14k gold filled wire and hung on a 18” gold filled chain. 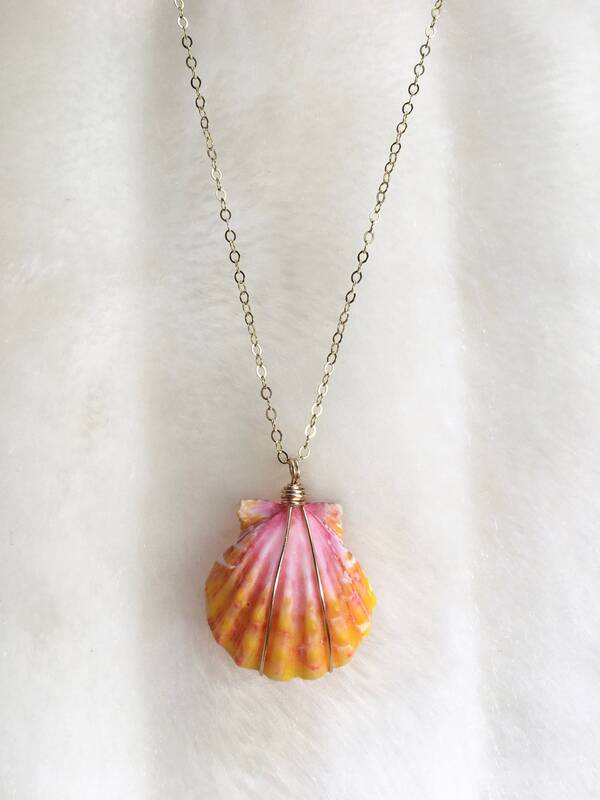 Shell is nickel size .